Some new neutral-toned pieces just in time for autumn. The Ralph Lauren Victorian silk blouse and Marc Jacobs ruffle knit top were my latest Crossroads Trading Co. finds. The details are heavenly, no? 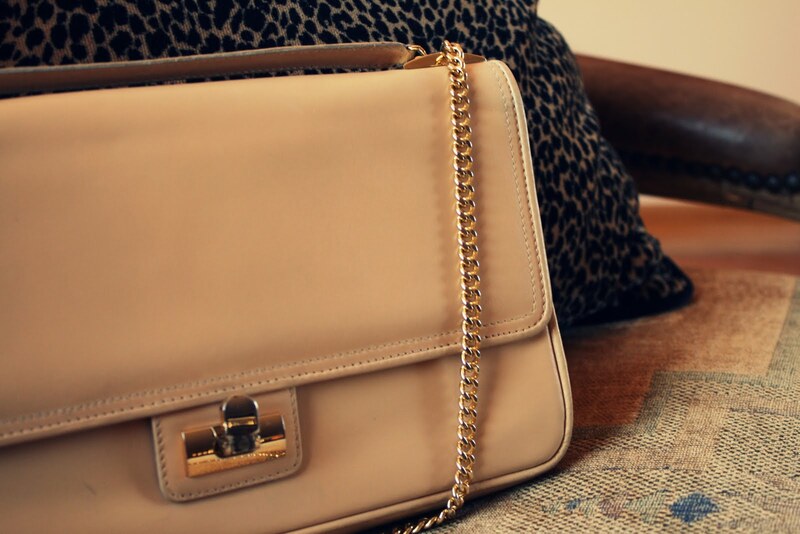 You guys have already seen me wear this beige leather vintage chain purse a few weeks back, but here are a few closeups. It will be hanging from my arm a lot more often this season. 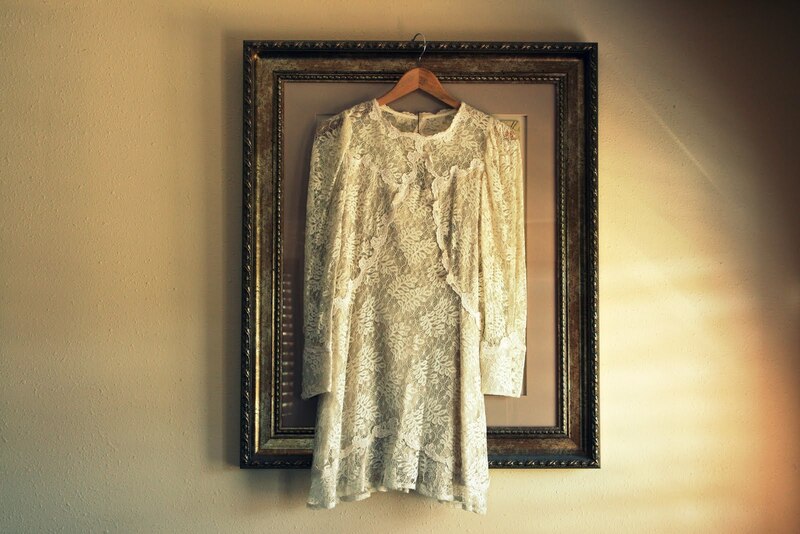 And last, but not least, this vintage lace reconstructed wedding dress from Ramona West Vintage is my current obsession. It's everything I have always wanted in a lace mini. 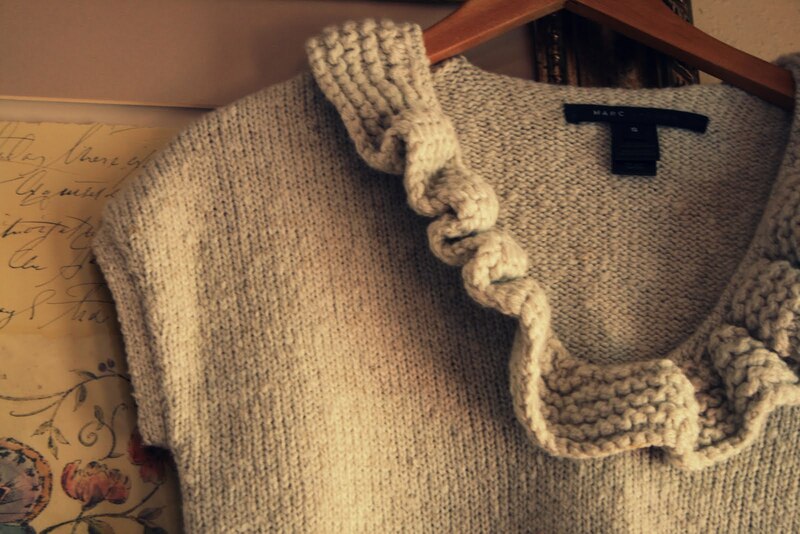 I am going to have fun layering with all these pieces this season. I love the RL top and wedding dress! So pretty and whimsical! love all these items!! great pics! I love it! all of them! Ooh I just stumbled across your blog and I'm so glad I did! I like that dress! :) It's gorgeous. those are great finds! cant wait to see you wearing them! Beautiful shots! I love the lace dress, it's a dream find. Also, thanks for the lovely comment on my blog -- you're too sweet! Loved your photography in Free People, and your sister looked beautiful. What a dream come true. 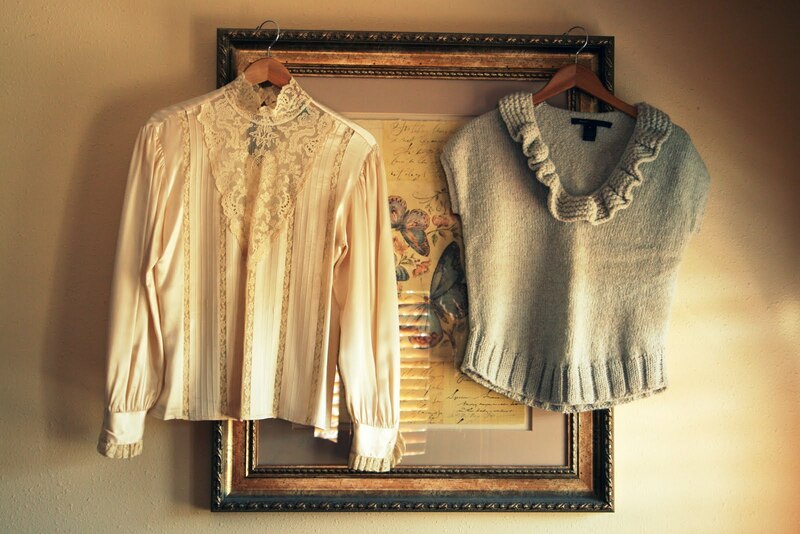 So lovely--what beautiful blouses and sweaters!! 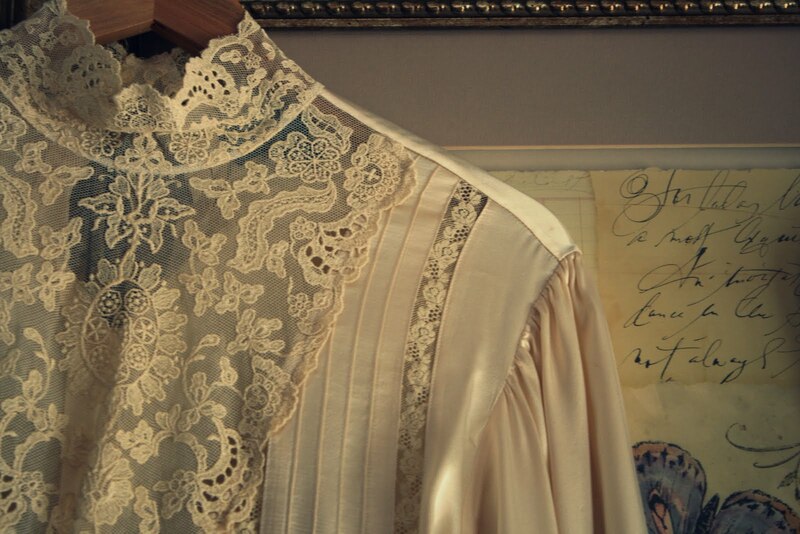 In loveee with the reconstructed wedding dress! can't wait to see how you style it. Just lovely! And I love the way you shot them! I love this nice shirt!!! those pieces are so lovely! Wonderful clothes!Big fan of the lace dress...can't wait to see you wearing it! 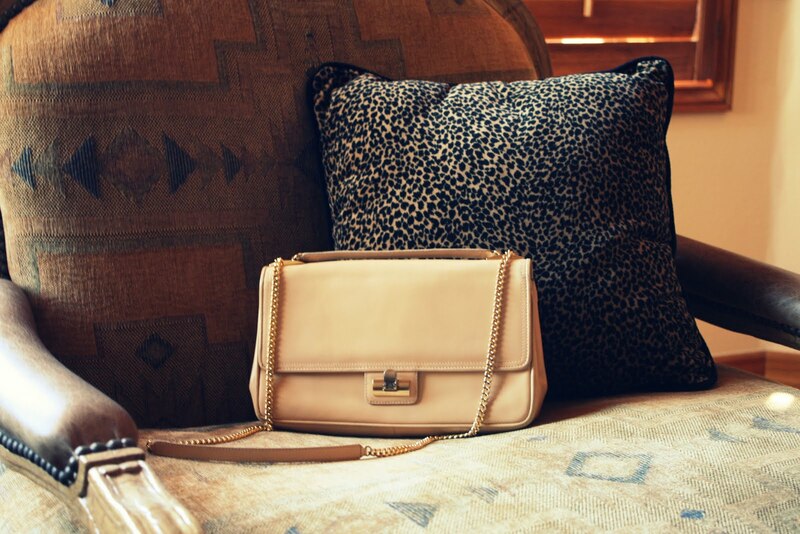 Omg I'm in love with that bag! P.S. Be sure to check out my We Love Colors giveaway! My gosh,I dont know what do I like the most.Everything is amazing! Gorgeous new lace dress! It's perfect. I'm looking forward to see you in it. all things is gorgeous! I love them all! These are great. I love them. No fair I can never find anything good for me at Crossroads, but it helps that you're tiny when you shop there where as I'm not. Boo to that back to diet now. Such great finds! Love everything!!! all the little details of everything are so lovely! :) i really am liking all the neutrals. Wow those pieces are gorgeous!!! I love the antique feel of these photos and all the pieces are gorgeous! great finds. love the dress. Marc Jacobs I <3 !! Lovely finds! Can't wait to see how you'll wear them! I love how you photographed all of these pieces - my favorite is the gorgeous Ralph Lauren lace top!!! Wow!!! I've been seeing a couple of beautiful lace tops around lately, most recently at Zara!! But yours is even better!!! the detaılıng on the ace dress ıs beautıful. ı am jealous you own a pıece lıke thıs and ı do not! very nice pieces, specially the dress, so romantic!! nana I so in love with the lacey dress and tops! they are just beyond gorgeous! i really love these items!!! The ralph laurem silk blouse- my drem! amazing piece. wonderful finds! the bag is amazing! Beautiful pictures to adore. May I borrow that lovely vintage lace blouse for the weekend? It's so gorgeous! Wouaww nice pieces especially the lace dress ! !